Local Guildford craft brewery founded by Chief Master Brew, James van der Watt. James chose Chaos as they required branding, packaging and web design as ambitious as their growth plans. Roll-out of branding to bottle packaging, website and collateral with a view to develop a suite of designs for future products that will include soft drinks as well. 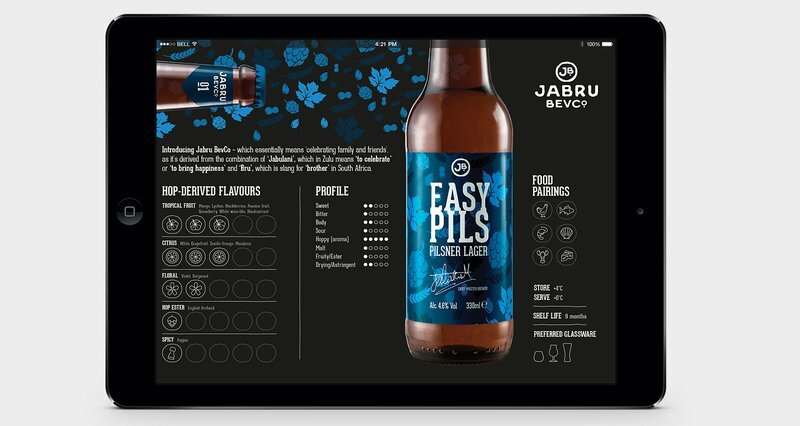 The undertaking of full branding for newly formed craft brewer Jabru BevCo, a local Guildford company started by Chief Master Brewer, James Van der Watt. 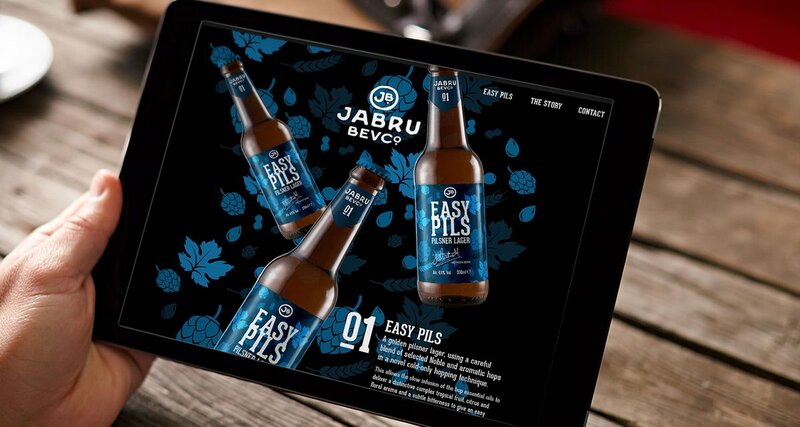 Multiple routes were investigated and refined with the end result summarising the easy drinking nature of Jabru and their first offering 'Easy Pils'. The branding was extended to the bottles, with a photo shoot and launch event planned so that we can all 'celebrate every moment'.